The children involved in the art of Flamenco will be the main protagonists of 25 Cardamomo’s anniversary. CARDAMOMO for the training of future artists. Coinciding with the International Day of Flamenco, next november 16 Cardamomo celebrates twenty-five years dedicated to flamenco art (1994-2019). To celebrate this special occasion, Cardamomo’s team has promoted the creation of CARDAMOMO SCHOLARSHIPS. An initiative that aims to help the training of future artists from the flamenco art , as well as the creation of new flamenco enthusiasts, favoring the development of flamenco culture. CARDAMOMO SCHOLARSHIPS are dedicated to all children of different ages. 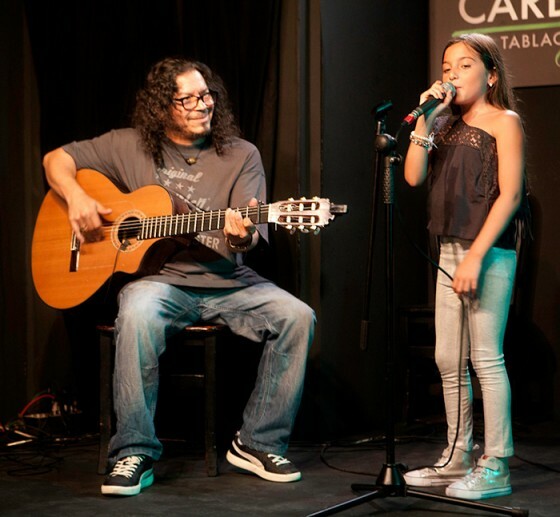 between the age of 2 and 16 who are developing some artistic capacity (baile, cante o toque), and want to train in Flamenco art in order to dedicate themselves to it. The aim is to encourage the integration of future promises and to break down with the exclusion that Flamenco suffers. We consider essential to start training in Flamenco from an early age. 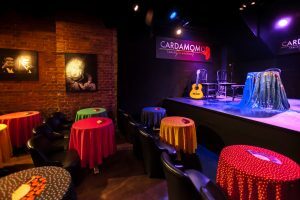 Artists who have been collaborating with Cardamomo during these 25 years, such as Tomatito, Estrella Morente, Diego El Cigala, Jorge Pardo and Antonio Carmona, among others, will collaborate with the project, sponsoring all children who aspire to the CARDAMOMO SCHOLARSHIPS. There will be a previous selection of boys and girls who will receive a gift in order to encourage their training in flamenco art. A jury made up of great personalities of Flamenco will rate the candidates. Finally, the children with the highest scores will also receive a scholarship based on professional masterclass to help boost their training, in which they can develop talent and artistic ability without limitations. On November 16 (World Flamenco Day) Cardamomo tablao flamenco becomes a space given to children who like to enjoy and feel Flamenco in its purest form, becoming the protagonists of the show. There will be a special event where the presentation of THE CARDAMOMO SCHOLARSHIPS will take place. “Comparing it with other arts, Flamenco suffers some discrimination at the time of giving opportunities among the little ones. We take into account that some of these children do not have the necessary resources to train and develop their talent without school absenteeism. Since its origins, Flamenco has belonged to humble social classes”. We invite you to a Press Conference at the tablao (Calle Echegaray nº15) on next Tuesday, May 14, at 12 a.m. to develop and present this initiative. We will have the participation of Raimundo Amador, Amós Lora, Jorge Pardo, Tomatito and Antonio Carmona, among other great personalities of flamenco.